I attended a work conference in Potsdam near Berlin. 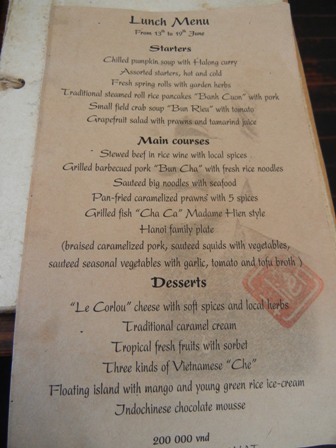 The very first day, I went out with some colleagues to have lunch. We found a Bavarian Beer garden restaurant, usually no place to have a decent wine but plenty of good beers in big glasses. 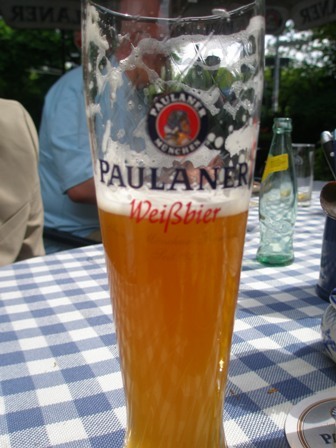 Wheat beet or “Weissbier” is one of my favorites. 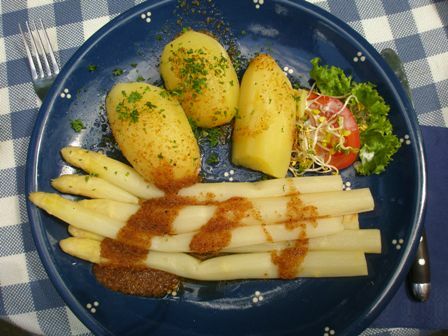 May is asparagus time in Germany, usually enjoyed with a glass of white wine, maybe a Pinot Gris or Blanc, or a Riesling. Not so in a Bavarian environment, of course, but the beer was delicious too. 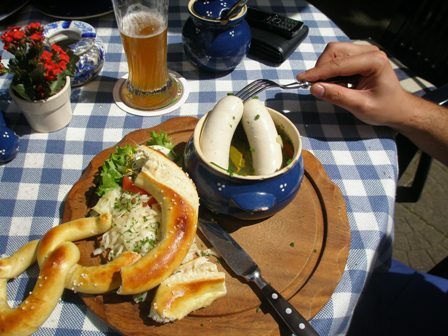 A typical Bavarian “snack” is “white sausages” served with sweet mustard. Well, Potsdam is far away from Bavaria so the sweet mustard was missing in this case. 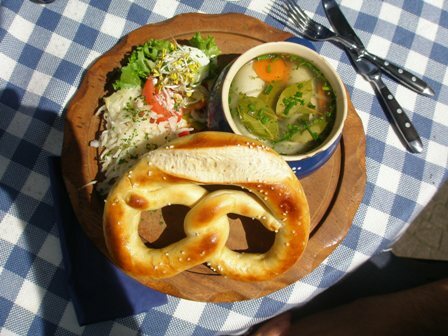 White and blue are the colours of Bavaria. 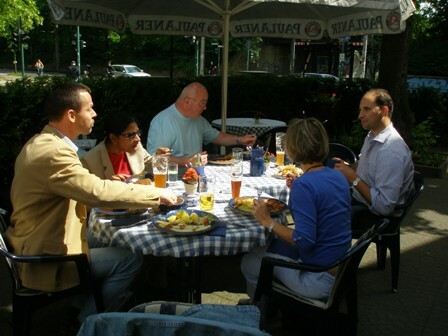 Next time you find yourself in a Bavarian environment, try out some of the special local dishes. This entry was posted on Saturday, June 7th, 2008 at 1:18 pm and is filed under food and wine. You can follow any responses to this entry through the RSS 2.0 feed. You can leave a response, or trackback from your own site.